The UUSC is the human rights and social justice organization for all Unitarian Universalists. The UUSC is currently focusing on Rights for Women, Field to Fork and Economic Justice in locations around the globe where help is most desperately needed. Our church is a strong contributor to UUSC initiatives and has been recognized as a “Fair Share” member. For more information, visit UUSC. 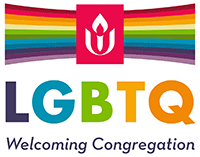 UUCSH joins all Unitarian Universalists in a national public advocacy campaign that compels us to “stand on the side of love” in support of respect, inclusion, and compassion for immigrants and support for LGBT rights. For more information, visit Standing on the Side of Love. Transylvanian Unitarianism is one of several primary roots of our UU family tree. UUCSH has a longstanding partner church relationship with a small Unitarian fellowship in the rural village of Kopec, Transylvania/Romania. Each year, UUCSH sends gifts, donations and personal messages to our partner church. To learn more about the origins of our historic faith, visit the UUA website.